This notice contains the terms and legal conditions that govern the web site purenaturalcosmetics.info. The Site is owned by Nirit Yogev, a Dutch Company, in adhering to Dutch law. Purenaturalcosmetics.info publishes information on the Site in order to provide a service to Users, but declines every responsibility of the possibility of eventual technical inaccuracy and/or typographical errors. Once brought to attention, Purenaturalcosmetics.info will execute correction as soon as possible. Purenaturalcosmetics.info reserves the right to make corrections and changes to the Site when necessary, without giving prior notice. Purenaturalcosmetics.info does not offer any guaranty that the information published on the Site, is in conformity with the laws of the User’s competent jurisdiction. The Site is a protected site according to international Internet standards which, if used correctly, Users can be reassured not to encounter viruses. However, Purenaturalcosmetics.info declines any responsibility from eventual problems, damages, viruses or risks that the User may incur during the misuse of the Site and declines any responsibility from eventual faulty operations of the web site due to the deactivation of “cookies” in the User’s browser. 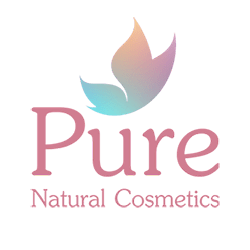 Purenaturalcosmetics.info reserves the right to modify the terms and the conditions contained in this legal note when it is necessary without giving prior notice. Items featured on the Site reflect the actual availability of the item in color and size. Purenaturalcosmetics.info reserves the right to re-confirm the availability of the merchandise, verify the transaction’s validity and check the Client’s record with Purenaturalcosmetics.info. Purenaturalcosmetics.info reserves the right to decline an order in the event that our bank does not receive verification from the Client’s bank. It is at the sole discretion of Purenaturalcosmetics.info to reserve the right to decline, to process and/or to ship an order and/or offer service to anyone at any time. Any order or any service not processed, or refused or not shipped, will be refunded, if already paid. The products on sale on the Site are destined to the “Final Customer”. By “Final Customer”, Purenaturalcosmetics.info intends person or persons who do not operate their own entrepreneurial nor professional activity that may include but not be limited to the re-sale of merchandise purchased at the Site. Therefore, Purenaturalcosmetics.info invites Users who may not be considered a “Final Customer” to refrain both from attempting to establish business relations with Purenaturalcosmetics.info nor to use accounts of third parties to forward purchase orders relative to the merchandise on sale. In regard to the commercial policy described above, Purenaturalcosmetics.info reserves the right to not process orders from persons that are not the Final Customer and any other orders that are not in conformity with the said commercial policies. All Clients who enter into a commercial relationship with Purenaturalcosmetics.info by placing an order, MUST have the item delivered. If at any time, a Client refuses the delivery or requests a return to sender all extra shipments and any import fees will be deducted from any eventual reimbursement. be eligible to enter legally binding contracts. be competent to enter legally binding contracts. have a valid Credit Card for authorization and payment, or a bank deposit, or a Paypal verified account. If the package is not successfully delivered to the Client’s address as per the Site commercial agreement, the package may risk being sent back to Italy at the Client’s expense including any import fees that may be assessed upon re-entry to Italy. These fees will be deducted from any eventual reimbursement. Clients place orders on line and provide Credit Card details to a protected online banking system provided by PayPal. Purenaturalcosmetics.info’s Clients are guaranteed maximum Credit Card security as all transactions are processed by PayPal. If there are sufficient funds and the account is a valid account, PayPal immediately confirms that the transaction has been authorized. Authorized funds are simply “blocked” funds on the Client’s account. The funds are NOT debited. Transaction must be debited or cancelled.Purenaturalcosmetics.info charges Client’s Credit Cards when parcel is ready to shipment. We remind first-time Clients that Purenaturalcosmetics.info can request our Bank to contact the Client’s bank for approval of the charges. This verification process will delay immediate shipping. We remind our Clients in Russia that due to Russian Custom’s procedures, Purenaturalcosmetics.info accepts Bank Wire Transfer as the sole method of payment. Please contact info@purecosmetics.info for further information. Product prices published on the web site Purenaturalcosmetics.info reflect the actual retail price of the goods. The local Dutch VAT taxes are included. Orders shipped outside of the European Economic Community are exempt from Dutch Valued Added Tax. SHIPMENTS THAT DO NOT CLEAR CUSTOM’S SUCCESSFULLY IN THE CLIENT’S HOME COUNTRY DUE TO THE NON-COMPLIANCE OF IMPORT REGULATIONS RISK BEING RETURNED TO THE NETHERLANDS AT THE CLIENT’S EXPENSE. ALL RE-IMPORT FEES ASSESSED TO PACKAGES RETURNING TO THE NETHERLANDS AND THE COST OF THE RETURN SHIPMENT WILL BE DEDUCTED FROM ANY EVENTUAL REIMBURSEMENT. Purenaturalcosmetics.info ships worldwide, only with prestigious couriers. Please note that couriers migt not deliver to P.O. Boxes, or personal mailboxes. Purenaturalcosmetics.info can ship to alternative or 3rd party addresses, but in the same country of the client. However, this always requires that you are a previous customer already. We remind first–time Clients that Purenaturalcosmetics.info will request that address delivery of first order must match with Client credit card billing address. Unfortunately, we only ship to one address per order, so we cannot ship a single order to multiple addresses. Purenaturalcosmetics.info reserves the right not to ship packages to any address that it feel may be suspect. If you have enquiries regarding this matters, please fill free to contact info@purecosmetics.info. By default, product prices published on this Site are Dutch VAT included until you proceed to check-out with your order. The VAT are then calculated according to your shipping destination and itemized on the Order Summary page. Please note that Dutch VAT will only be applied to orders dispatched within the European Community. Order dispatched outside EU are exempt from Dutch Valued Added Tax. Orders shipped outside of the European Economic Community are exempt from Dutch Valued Added Tax, but are subject to import duties, local taxes and customs fees.Payment of these DDU fees is the sole responsibility of the Client. We remind first–time Clients that Purenaturalcosmetics.info can request our bank to contact the Client’s bank for approval of the charges. This verification will delay immediate shipping. Shipments outside of the European Economic Community are exempt VAT (Dutch Value Added Tax) BUT ARE SUBJECT TO IMPORT FEES. Payment of these DDU fees is the sole responsibility of the Client. Purenaturalcosmetics.info shipments are insured against theft and accidental damage at no additional cost to the Client. Once the shipment reaches the destination, the goods are no longer covered by the insurance. Upon delivery, Clients are asked to inspect the box carefully BEFORE placing a signature for the receipt of the merchandise. Purenaturalcosmetics.info boxes are carefully packaged in white strong paper box. For any reason, if the box looks tampered or is NOT intact, either sign for the package with reservations or refuse the package. In the event, that the box has been signed for with an unauthorized signature or there is evidence that the package has been tampered, be sure to open a claim immediately with the local correspondent couriers office and contact Purenaturalcosmetics.info at info@purecosmetics.info . If for any reason, an order from Purenaturalcosmetics.info is not successfully delivered to the Client’s address as per the commercial agreement, the package risks being sent back to The Netherlands at the Client’s expense including any import fees that may be assessed. These fees will be deducted from any eventual reimbursement. If, for any reason, Clients are not satisfied with the order, the unused item(s) can be returned within 14 days of delivery. Used products can be returned if the product is causing an unwanted (allergic) reaction within one week. Used products will only be refunded with a voucher. The original Tag must be attached to the item(s). Clients must contact info@purecosmetics.info with a written request to return the item(s) within 10 days from the date of delivery. The written request must include the Order Number(s), Item Code Number(s) of the item(s) to be returned. Once the written request is received, Purenaturalcosmetics.info will send a email written confirmation to the Client including the Return Authorization Number. Clients must indicate this R.A.N in their shipment. The return of the unused item(s) must reach Purenaturalcosmetics.info within 10 (ten) days of the written confirmation from info@purecosmetics.info . The Client is responsible for shipment of the returned item and any eventual import fees. In the case of defective merchandise, or an error in the order on the part of Purenaturalcosmetics.info, Clients must follow the instructions above. Purenaturalcosmetics.info reserves the right to request photographic support for returns regarding defective merchandise before authorizing the return and the eventual charges for the shipment and import fees. Purenaturalcosmetics.info will ship Clients the returned corrected goods free of charge. Purenaturalcosmetics.info reserves the right to refuse unauthorized returns. Purenaturalcosmetics.info will NOT accept any items that have been opened, used or altered for any reason. Purenaturalcosmetics.info reserves the right to INSPECT returned merchandise and assess re-stocking fees depending on the state of the returned merchandise. Please note that all sales are FINAL for ALL discounted items and are non-returnable. All authorized returned merchandise is subject to re-entry inspection which is at the sole discretion of Purenaturalcosmetics.info and must meet all the requirements listed under the Return Policy. If the authorized returned item(s) passes re-entry inspection, the Client will receive a confirmation of the return from info@purecosmetics.info and the refund, less the original shipping charges (and any re-stocking fees), will appear on the Client’s Credit Card (or Bank or Paypal) statement within two billing cycles. The billing cycles may differ from Credit Card to Credit Card.